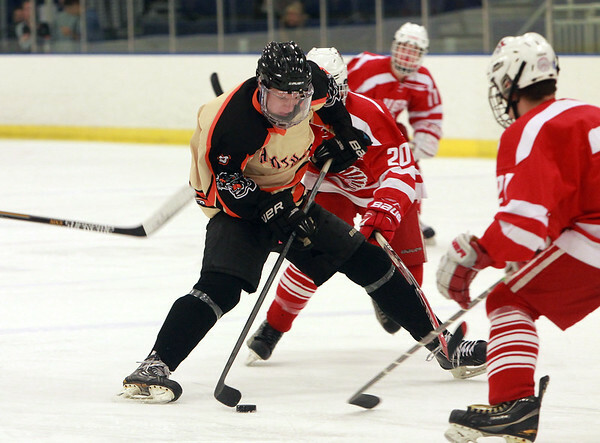 Beverly senior captain Brendan Boyle (6) dekes his way through the Saugus defense during the first period of play on Wednesday evening. DAVID LE/Staff photo. 12/17/14.